Places to Eat in Juneau, Alaska ↠ Red Dog Saloon. 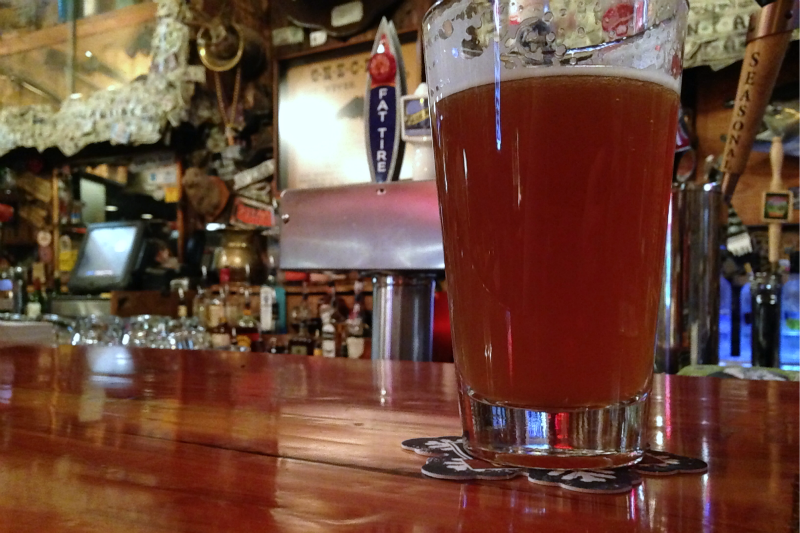 If you want a place that's pure Alaska, and completely packed to the brim during the summer, you have to make a stop at Red Dog Saloon in Juneau. It's an easy place for most visitors to get to, since it's just a short walk away from the cruise ships downtown. There are huge halibut hanging from the ceiling, bears climbing up the poles, and pretty much any other animal hanging on the walls. It's fun to see just how big these creatures can get...without the fear of being attacked. They also have live music on the weekends, Dave got up and played while my Dad and brother were in town. The second time Dave and I went, the first time my Dad came to visit, was after cruise ship season (this time last year). We had the place to ourselves and you'd never know how crazy it gets in the summer. 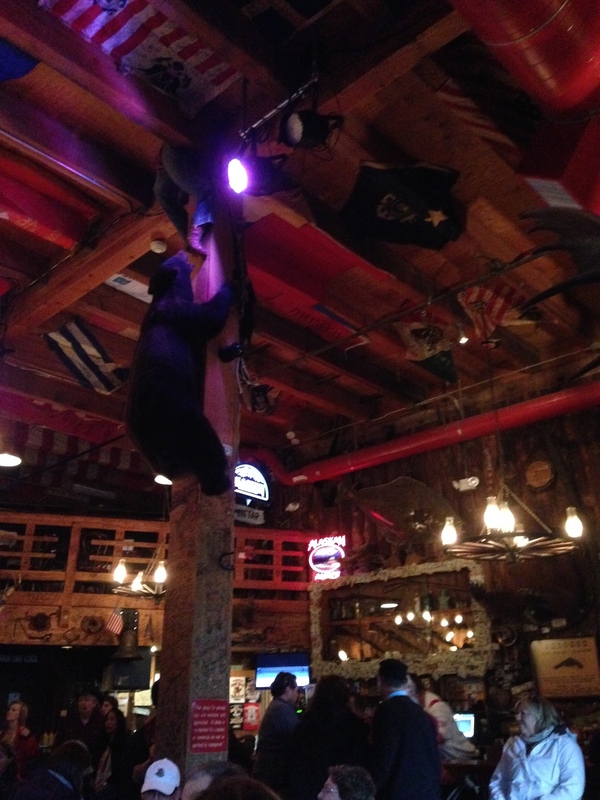 My Dad got to experience Red Dog Saloon in full force during his second trip, the last picture above. I highly recommend the Ninilchik Wrap, with beer battered Alaskan salmon. Delicious. And of course, you have to wash it down with your favorite Alaskan beer on tap, I rotate between the summer and winter...depending on the season.